When Ozzie Guillen is positioned as a paragon of tact, it’s usually because one of two things has happened: we’ve entered bizarro world, or he’s being compared to somebody completely off the rails. Sunday, it was the latter. Guillen’s managerial opponent was Davey Johnson of the Nationals, and the issue of the day was pine tar. Apparently, Bryce Harper likes to use a lot of the stuff on his bats—more than the legal, 18-inch limit. The eyeball test puts that mark at about the bat’s logo, which makes the infraction relatively easy to spot from a distance. The umpires followed through, much to the disgruntlement of Washington’s young superstar. 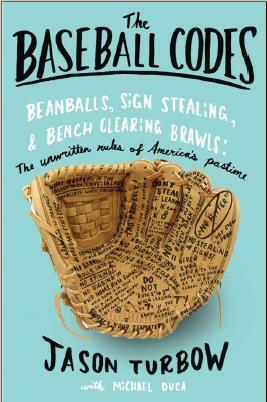 When the left-handed-hitting Harper came to the plate in the fourth inning, he pointed his new bat toward the third-base dugout—something he does as a matter of course when settling into his stance—which happened to be where Guillen and his team were sitting. This time, though, Harper stared daggers as he did it. It was a clear message, and Guillen took it as such, although because nobody’s really talking, the context remains muddled. Davey Johnson as the voice of well-intentioned reason. Bizarro world, indeed. Johnson guessed that Guillen was trying to intimidate Harper, which could well have been the case. Of course, he’d have to have willfully ignored the 19-year-old’s history with such tactics, lest he consider that Harper tends to respond to bullying by taking extra bases as a runner, then stealing home. Guillen, for perhaps the first time, kept some of the details to himself. “I was just telling him how cute he was,” he said. Left to break it all down was Marlins outfielder Logan Morrison. Ultimately, Morrison’s right. Fault Guillen for his response to Harper’s bat pointing, a display that seemed benign and would have been a simple matter to ignore, but when it came to handling the initial situation, he was the antithesis of Billy Martin having George Brett’s bat checked, or Johnson with Perralta’s glove. In other words, tone perfect. Update (7-16): Guillen says that if Harper keeps this kind of thing up, “he might not make it.” I love Ozzie Guillen—love him—but from where I sit, however, Harper doesn’t have much to worry about in that regard, having consistently taken the high road through the course of whatever big league tests have come his way. Except for maybe his All-Star spikes. Not much humble-rookie about those. Hmmm … don’t recall professing any love for Ozzie. (Although I’ll say unequivocally that as a journalist, I absolutely love the guy. Were I a player, I’m not so sure that feeling would carry over.) 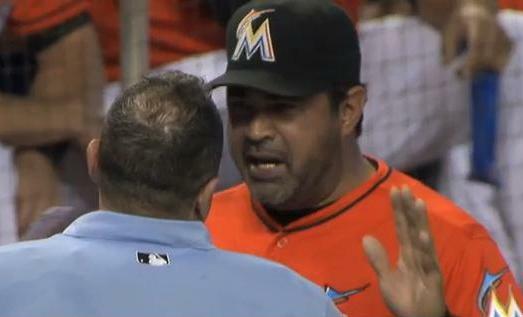 Please note: I separated Guillen’s reaction to Harper from his initial act of having Harper’s bat checked. It was the latter that was impressive; everything else was … well, classic Ozzie. Fine, I professed it. (Kind of hard to deny when it’s there in black and white.) It is, however, as I said later, as a journalist. Anybody who speaks his mind so consistently and entertainingly is pure gold.